¡FÓRJATE COMO UN LÍDER UNAM, ESTUDIA AQUÍ EN UNIVERSIDAD DE SOTAVENTO! 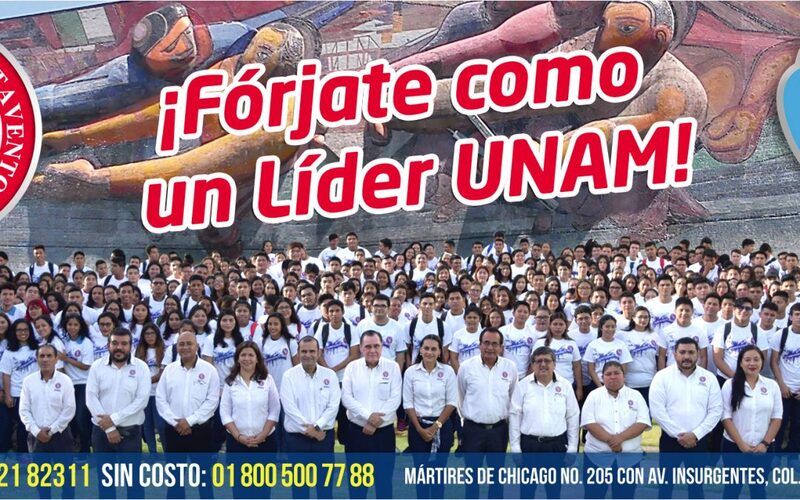 | Universidad de Sotavento A.C.
¡FÓRJATE COMO UN LÍDER UNAM! *ESTUDIA, AQUÍ EN UNIVERSIDAD DE SOTAVENTO. *MÁS DE 12 CARRERAS INCORPORADAS A LA MÁXIMA CASA DE ESTUDIOS DEL PAÍS. *LABORATORIOS DE ENFERMERÍA Y FISIOTERAPIA CON TECNOLOGÍA DE VANGUARDIA. *TALLERES DE ARQUITECTURA, CIENCIAS DE LA COMUNICACIÓN Y PSICOLOGÍA; DE PRIMER NIVEL. *BIBLIOTECA CON MÁS DE 20 MIL TÍTULOS. *ORGANIZAMOS CONGRESOS NACIONALES E INTERNACIONALES. *¡INSCRÍBETE CON NOSOTROS Y FORMA PARTE DE ESTA GRAN FAMILIA! *INFORMES: 01 921 21 8 23 11 EXT 102.